One of the big players in the group of tycoons who made up the Gilded Age, Grenville M. Dodge was far more than a financier and builder of railroads. Major General Dodge was an important figure in the War of the Rebellion, rising eventually to command the 16th Army Corps at the Battle of Atlanta. Although a valiant and inspiring leader on the battlefield, it was in the areas of engineering and military intelligence that General Dodge made his greatest contributions to the war effort. A native of Danvers, Massachusetts, Grenville Mellen Dodge was born on April 12, 1831, the son of Sylvanus Dodge and Juilia Theresa Phillips. The family was not well off financially and Grenville worked at various jobs, clerking in stores, driving delivery carts and selling fruits and vegetables. Eventually he was able to attend Durham Academy in New Hampshire and then Norwich University in Vermont. He graduated from the scientific department with a degree in civil and military engineering in 1851 and immediately became involved in the work that would concern him most of his life, railroad construction. His interest in railroad engineering and in all aspects of the real estate business that accompanied the westward expansion of the railroad system brought him to Peru, Illinois, where he secured a position with the Illinois Central Railroad. He soon became associated with the Mississippi and Missouri Railroad and undertook survey work from Davenport to Iowa City and from thence to Council Bluffs, Iowa, and Omaha, Nebraska. It was in Council Bluffs that Grenville M. Dodge found a home. He became an established citizen, organizing the banking house of Baldwin and Dodge as well as continuing his work for the railroads. In 1856, together with other young men in the town, he organized a company of militia, The Council Bluff Guards. His military experience as a graduate of Norwich University led to his selection as Captain of his company. At the outbreak of the Rebellion, Governor Kirkwood sent Dodge on a mission to Washington D.C. to obtain arms and equipment for the Iowa regiments then being raised. He was successful in his mission and upon returning to Council Bluffs was given permission to raise a regiment, the 4th Iowa Infantry and also Dodge's Battery, Iowa Light Artillery. 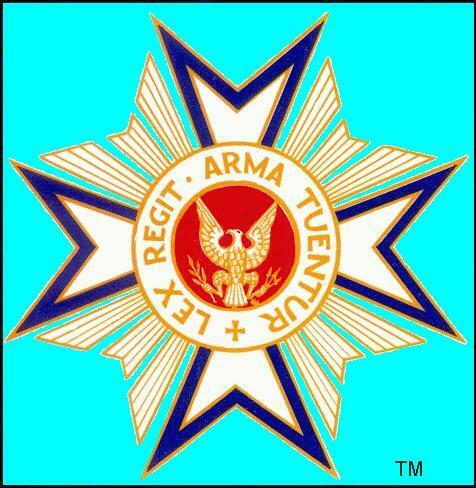 He was commissioned Colonel of the 4th and it was in that capacity that he attacked and defeated a large group of rebel infantry under Colonel John A. Poindexter. He then reported to Major General John C. Fremont in St. Louis. Given command of the 4th Division of the Army of the Southwest under Major General Samuel R. Curtis, he participated in the Battle of Pea Ridge, where he had three horses killed under him and was wounded. Promoted Brigadier General and recovering from his wound, he was assigned to command the District of Columbia, Missouri. He showed an unexpected aptitude for military intelligence. He soon recruited over 100 operatives who spread themselves throughout the western Confederacy from Missouri through Tennessee and Alabama. He recruited African Americans who had escaped from slavery and formed the First Alabama Colored Infantry Regiment. Together with another of his creations, the First Alabama Cavalry, they did secret service work for General Dodge. It was his excellent intelligence reports that enabled Dodge to defeat in short order General John B. Villepique on the Hatchie River, capture General Faulkner and his command near Island Number Ten and attacked General Earl Van Dorn at Tuscumbia, Tennessee. In the spring of 1863 from his headquarters at Corinth, Mississippi, Dodge brilliantly opened the campaign with the defeat of the forces under Generals Nathan Bedford Forrest, Philip R. Roddy, and Samuel W. Ferguson. In July, he was assigned to command the left wing of the 16th Army Corps and made a raid on Grenada, which resulted in the capture of 55 locomotives and 1000 cars. He rebuilt railroads, organized, armed, and equipped many thousands of colored troops, and continued to send his operatives into all areas of the Trans Mississippi. Attached to General William T. Sherman's force at Vicksburg, his intelligence agents penetrated the city with ease and provided General Ulysses S. Grant with up to the minute reports on the conditions of the city under siege. It was while he was stationed in Tennessee and directing the Bureau of Military Intelligence for General Grant that he captured Samuel Davis, the young spy often referred to as the Nathan Hale of the Confederacy. Serving as a courier, Davis was captured in a Union army overcoat with incriminating documents, which would have provided Confederate General Braxton Bragg with much needed information on Grant's movements. When Davis refused to identify his superior, the infamous Captain Henry B. Shaw, head of Bragg's scouts, who was, unknown to Dodge already in his custody under the alias of Captain E. Coleman, General Dodge reluctantly ordered the boy's execution. Shaw, alias Coleman, could, of course, have saved Samuel by revealing his presence to Dodge, but chose not to do so. After the war, General Dodge contributed to a monument erected to the memory of Samuel Davis. In the spring of 1864, General Dodge joined General Sherman at the Battle of Chattanooga and participated in the opening of the Atlanta Campaign. On the 19th of August, while leading units of the 16th Corps before Atlanta, he was hit on the head and seriously wounded. 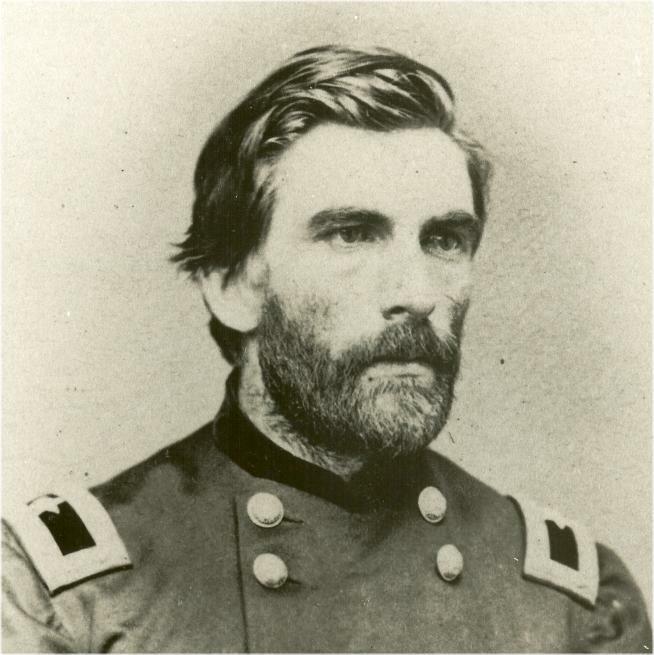 Recovering from the wound, he was ordered to relieve General William S. Rosecrans and take command of the Department of Missouri. Again his aptitude for intelligence work enabled him to train operatives to penetrate the various rebel guerilla forces in Missouri and Kansas and soon he either killed or captured almost all the violent bushwackers in the Department. General Jeff C. Thompson surrendered 8,000 officers and men and General Kirby Smith surrendered around 4,000. General Oliver Otis Howard wrote of Grenville, General G. M. Dodge, was Sherman's special favorite on account of his work with bridge making and railway construction on marches or in battles. Dodge's capabilities and personality alike drew Sherman to him. I never knew an officer who on all occasions could talk so freely and frankly to Sherman as Dodge. One good reason for this was that Dodge's courage was always calm and his equanimity contagious no matter how great or trying the disturbing causes. Following the end of the war, General Dodge, promoted Major General for his work at Vicksburg, held a command embracing Kansas, Nebraska, Colorado, Western Dakota, Montana, and Utah. While in command of this vast area, he opened a major campaign against the Native American Tribes overseeing forces under Generals John B. Sanborn, Patrick E. Connor, and others. Treaties of peace were made with the Commanches, Apaches, Southern Cheyennes, and other tribes in the area. In June 1866, Grenville Dodge tendered his resignation and returned to Council Bluffs where he took up the duties of Chief Engineer of the Union Pacific Railroad. Hardly had he begun his interrupted career in railroading when he was elected to the 40th Congress. He served on the Military Affairs Committee assisting in the re-organization of the post war army. He declined renomination and returned to his work on the transcontinental railroad. On May 10, 1869, he was one of those driving the golden spike at Promontory Point, Utah. His railroad work continued, chiefly in the West and Southwest on such roads as the Texas and Pacific, the Denver and Fort Worth, the Denver, Texas, and Gulf and so on. He supervised the construction of the Mexican Oriental Railway in Mexico and served as an onsite consultant for the construction of the Trans Siberian Railway. His railroad and military record resulted in the communities of Dodge City, Kansas, Dodge City, Nebraska, and Fort Dodge, Iowa, being named in his honor. As he continued his railroad work he found it expedient, in view of his many business ventures, to move to New York City. While there, he became active in many civic causes serving as Vice President of the Grant Monument Association and Chairman of the Grant Memorial in Washington D.C.
General Dodge was involved with the Military Order of the Loyal Legion of the United States (Loyal Legion) almost from its inception, becoming a member of the Pennsylvania Commandery on May 1, 1867 with Insignia Number 484. He enjoyed his membership in the Loyal Legion a great deal particularly relishing occasions when he could gather with old comrades, such as Generals Sherman and Howard and swap stories of their wartime experiences. He was instrumental in founding the New York Commandery to which he was transferred in 1886. He served as Commander of the New York Commandery from May 5, 1897 to May 5, 1898. On October 16, 1907, he succeeded General John R. Brooke as Commander-in-Chief of the Loyal Legion. Commenting on the Loyal Legion, General Dodge said, I look upon this organization as the most distinguished and useful of all patriotic societies. In its constitution and actions it has shown above and beyond any selfish or personal motives the greatest patriotism and interest in the welfare of our country. Since its organization it has been run so successfully that it is looked upon the world over as a great honor to become one of its members. Grenville M. Dodge's last major service to the nation was to chair the commission appointed by President William McKinley to examine the conduct of the United States Armed Forces in the Spanish-American War. Known as the Dodge Commission and composed of 12 veterans of the Civil War, all but one of whom, a Confederate captain, were members of the Loyal Legion. The Commission, while making some criticisms, which drew the umbrage of General Nelson A. Miles, determined that the armed forces had performed admirably. Not unexpectedly, Dodge himself had a hand in post war reconstruction in the Caribbean; he supervised the construction of the Cuban railways. President Theodore Roosevelt said that if General Dodge were ten years younger he would have given him the supervision of the construction of the Panama Canal. General Dodge was succeeded as Commander-in-Chief, after serving a two-year term by Lt. General John C. Bates. Grenville Mellen Dodge died in Council Bluffs, Iowa, on January 13, 1916, and was interred in a magnificent mausoleum in Walnut Hill cemetery overlooking the Missouri River. In 1854, he had married Ruth Anne Brown, a native of Peru, Illinois. The Dodge's had three daughters, Lettie, Ella and Anne. Lettie married Major Robert H. Montgomery of the U.S. Cavalry. Their son, Grenville Mellen Dodge Montgomery became a member by inheritance of the Pennsylvania Commandery with Insignia Number 16144.